Antoine Coypel’s Assembly of the Gods records the ceiling painting completed for the grand gallery in the Paris residence of Philippe Duke of Orléans’s (1674–1723), the Palais-Royal. At six-and-a-half-feet wide, the work reflects the grandeur of the original ceiling, which was destroyed in 1785. The majestic composition depicts a ceiling opening out to the sky where the gods of antiquity meet: Zeus sits triumphantly at center in a halo of light, presiding over Venus, Minerva, Neptune and Mercury—gods of peace and war, navigation and commerce. The pinks and blues, swirling tapestries and movement are compelling, dynamic, uplifting. This was the version kept by the artist and his heirs and has only left France once before. It travels to New Orleans as part of The Orléans Collection, a landmark exhibition presented from October 26, 2018, to January 27, 2019, in commemoration of the New Orleans Tricentennial. The ceiling was part of a refurbishment of the Palais-Royal, the Parisian home of Philippe d’Orléans. The nephew of Louis XIV (“The Sun King”), Philippe was expected to become king but a direct heir was born in the final years of his uncle’s reign. Five-year-old Louis XV inherited the throne in 1715, requiring Philippe to serve as regent of France for eight years until the young king came of age. As regent, Philippe II’s task was to ensure the prosperity of the realm, a difficult task given the depleted finances of a kingdom strained by Louis XIV’s wars and prodigal spending, most supremely demonstrated by the vastness of Versailles. Philippe’s tenure inaugurated a new stability and as part of his mandate, French colonial holdings were secured in Senegal and Louisiana, thus the city of New Orleans bears his name. 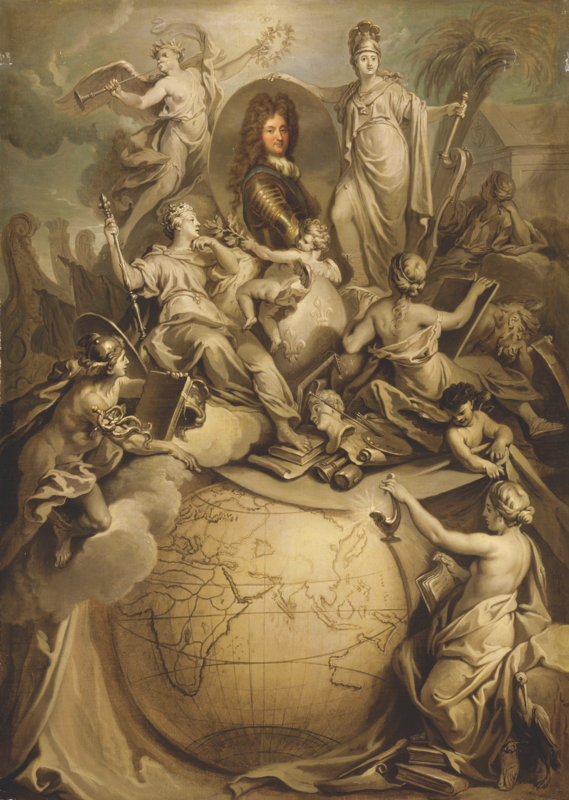 Antoine Dieu’s Allegory of the Philippe II d’Orléans glorifies the regent both as a great patron of the arts and commander of the Indies overseas trading company. Holding and presenting the medallion portrait are personifications of Law and Fame at left and Minerva, goddess of war and the arts, at right. Philippe is best known to history as a great patron of the arts and his extraordinary art collection is the focus of NOMA’s exhibition honoring the city’s namesake. A fun-loving bon vivant with a sharp wit, already in his late teens Philippe d’Orléans was passionate about visual art. He is known to have taken drawing lessons with court painter Antoine Coypel and an astounding 537 paintings are recorded in Philippe’s death inventory of 1724. Visitors to the Palais-Royal were amazed by the tight hanging of so many pictures, which were displayed in the grandest ceremonial and public spaces of the palace. In 1729, a compendium of the most important pictures in France features Philippe’s collection alongside the Sun King’s royal holdings. The collection brought together works from the full range of European art. The avaricious collector acquired paintings any way he could: purchasing pictures during his military service in Madrid and from art dealers, or gladly accepting gifts of paintings from court favorites and political allies. Lodovico Carracci’s Dream of Saint Catherine, for example, was given to Philippe from the Marquis de Nancré, captain of the Swiss Guards at the Palais-Royal. A crowning achievement came in 1721 with the purchase of over one hundred works formerly in the possession of Queen Christina of Sweden (1626–1689), who had taken her collection with her to Rome after abdicating the throne and converting to Catholicism. Christina’s heirs in Rome had been trying to sell the pictures for decades, but it was the duke’s trusted friend, the financier and renowned collector Pierre Crozat, who was finally able to strike the deal. A Parisian newspaper proudly declared the arrival of the paintings. An early source reports that Philippe studied painting with his court painter, Antoine Coypel, and court chronicler duc de Saint-Simon wrote that he often noticed the duke retire to his apartments to paint in the afternoons. Indeed, so many aspects of the collection confirm that the duke was passionately engaged with the meaning and interpretation of art, and developed a remarkable eye for technique and quality. 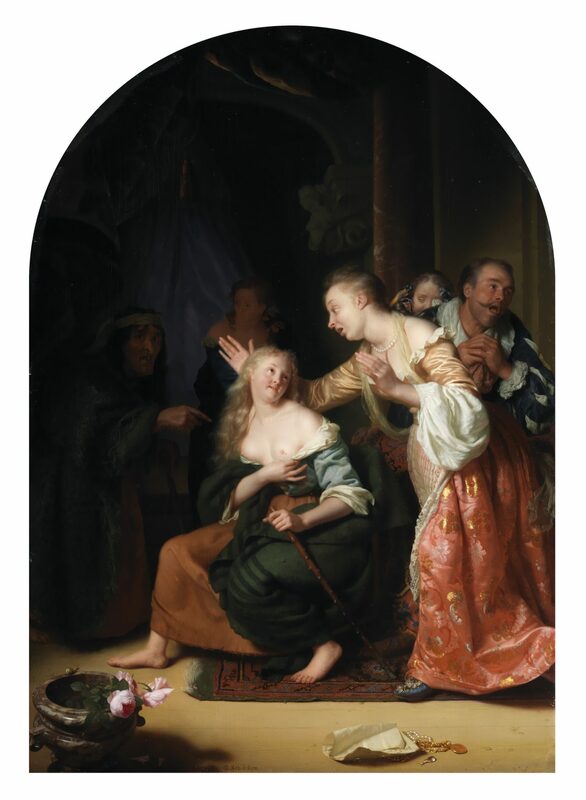 The duke relished the gamut from refined to rougher paint handling, grand scale and intimate, profane and religious, exemplified by a prescient appreciation of the Dutch Golden Age painters, of which Godfried Schalken’s Preciosa Recognized is a supreme example (see page 12). This enthralling range brings a feast of color and style to New Orleans for the exhibition. Alessandro Allori’s extraordinary painting Venus Disarming Cupid depicts an over-life-size goddess taking the bow and arrow away from her son. The serpentine lines of her torso, legs, and arms exemplify the maniera (mannered) style of sixteenthcentury Florence, a term coined by Giorgio Vasari, Italy’s first art-historian and an artist also represented in the exhibition. Allori’s work famously reworked Michelangelo’s acclaimed invention, a connection appreciated by viewers at the Palais-Royal. The celebrated status of the duke’s collection endured throughout the eighteenth century, but Philippe’s greatgrandson capitalized on this legacy and sold the collection to raise funds during the upheaval of the French Revolution. The resulting sales of the Orléans pictures in London in the 1790s were staged in three gallery spaces across the city which attracted many visitors, as noted in London’s Morning Post: “vast crowds are daily flocking to town to see the Orleans Galler[ies].” This wider viewership of art played a role in the later establishment of cultural institutions. In fact, the first picture catalogued (holding the accession no. 1) at The National Gallery of London was one of Philippe d’Orléans’s most celebrated works. Eustache Le Sueur’s painting Alexander and His Doctor was purchased at the London sales by the fashionable Lady Amabel Lucas who installed the work in the walls of her residence. The picture miraculously remained in the building as it was sold through generations, only to be rediscovered in 1997, and it is being lent for the first time. 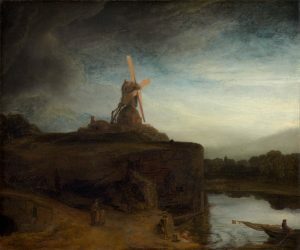 Another star picture during the London sales, Rembrandt’s The Mill inspired generations of English landscape painters while it was in the collection of the Marquess of Landsdowne and it is now one of America’s greatest art treasures in the National Gallery of Art. The great dispersal of the duke’s pictures make for the fact that exhibition loans are coming not just from Paris and London, but unexpected locales like El Paso, Texas, and Greenville, South Carolina. The exhibition brings thirty-eight masterpieces to New Orleans to tell this story of Philippe’s collection. No exhibition of this fascinating subject has been undertaken and this occasion created an exceptional opportunity for new scholarship. Published in conjunction with this exhibition is a fullcolor catalogue by Vanessa Schmid and eight internationally recognized scholars. The Orléans Collection is organized by the New Orleans Museum of Art and is sponsored by the City of New Orleans; New Orleans and Company; Samuel H. Kress Foundation; Hyatt Regency New Orleans and 1718 Events; JPMorgan Chase & Co.; Robert Lehman Foundation, Inc.; Zemurray Foundation; Mr. and Mrs. John Bertuzzi; Catherine Burns Tremaine; 2018 NOLA Foundation; Delta Airlines; Pelham Communications; Jean and Buddy Bolton; Mr. and Mrs. Joseph C. Canizaro; Susie and Michael McLoughlin; Sally E. Richards; and Mr. and Mrs. Robert John Axtell Williams. Additional support provided by French Heritage Society; Dr. Edward Levy, Jr.; Ms. E. Alexandra Stafford; Jason P. Waguespack; Robert and Millie Kohn; Wayne Amedee; Honorable Steven R. Bordner; Nell Nolan and Robert E. Young; and Charles L. Whited, Jr.